Congrats to Donna for this STUNNER. 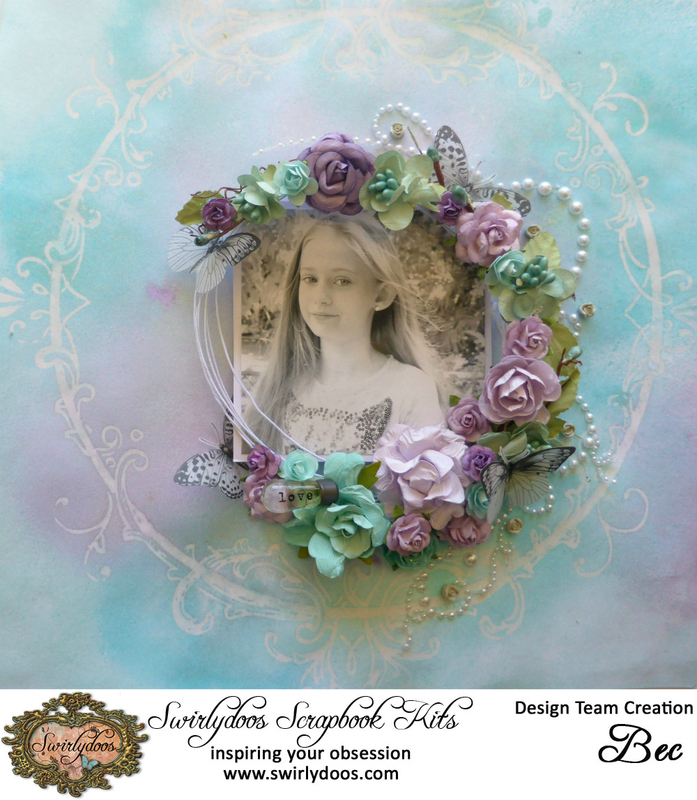 This layout is amazing, I just love everything from the sparkle photo frames to here floral arrangements and pops of purple. 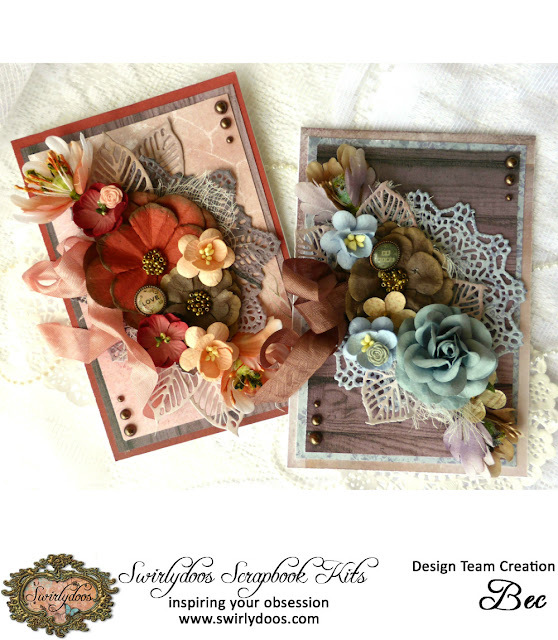 For today's Saturday tutorial I have 2 cards for you. I have started a monthly card challenge on the forum, these are the cards I made for the March challenge. 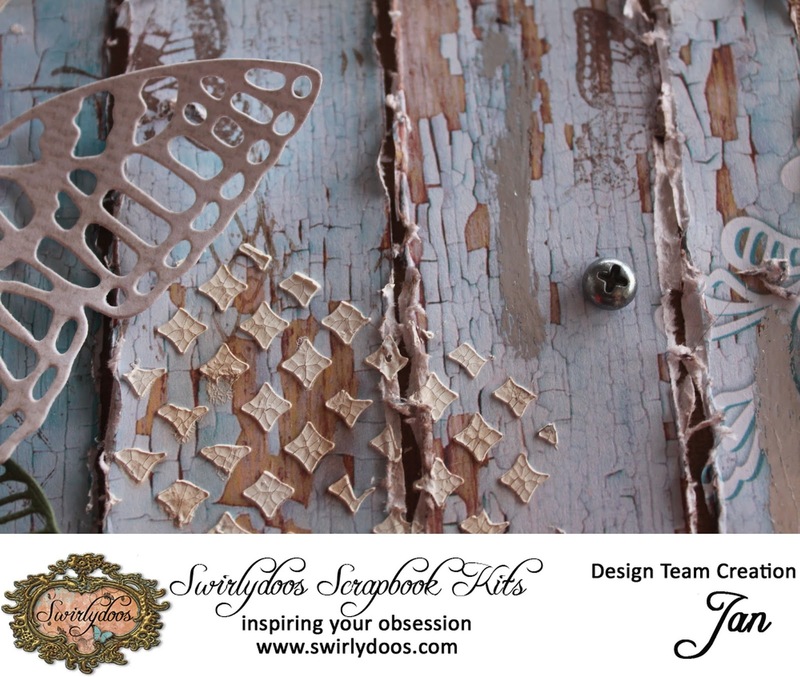 The theme of the challenge in March is Die Cutting. I have never been a huge user of dies, so I was great to dust off my die cutting machine. 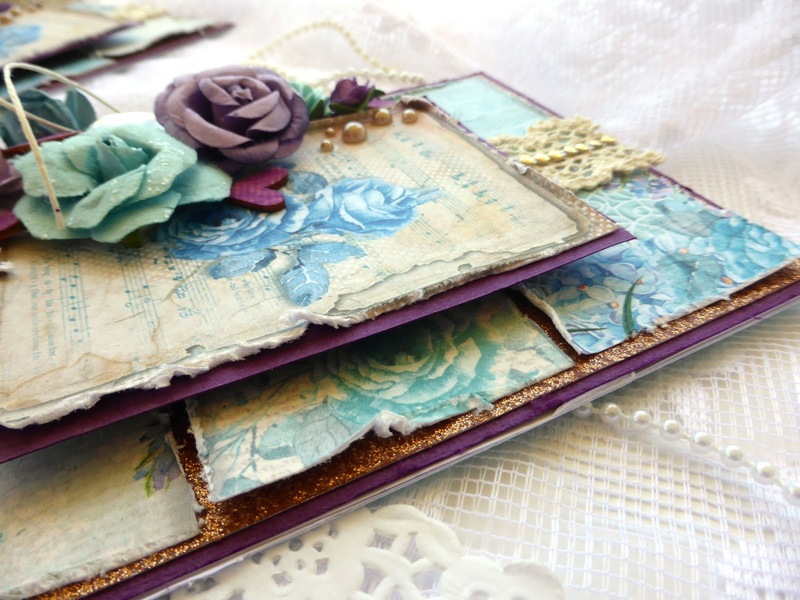 Please enjoy the video tutorial on how I made these cards. My apologies that there is no voice over for this video, unfortunately I have a bad cold and no voice. 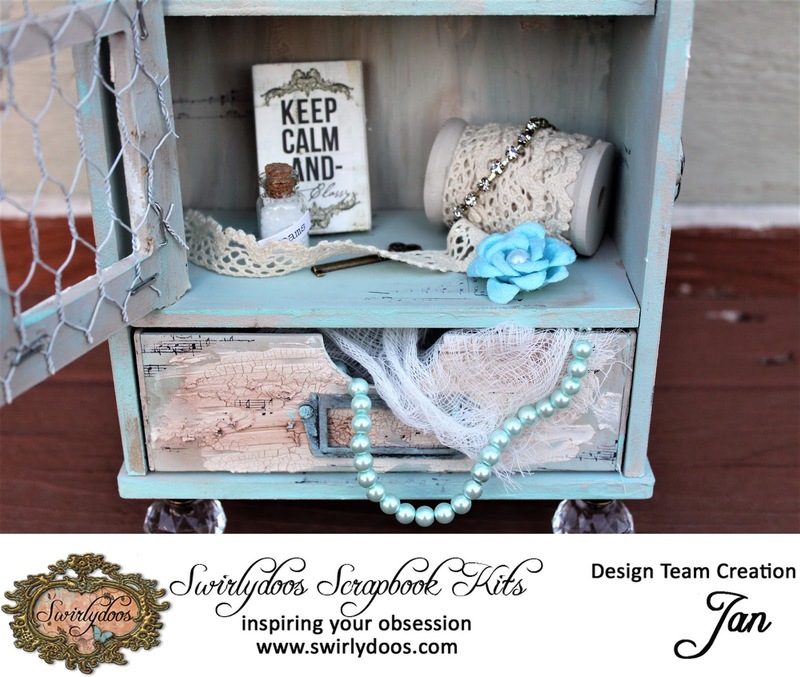 If you are in need of some scrappy inspiration then visit the challenge forums. We have a lot going on this month to help you find your mojo. Check out the Round Robin thread to see the beauties created this week. Sign ups for March will be coming soon if you would like to play along. 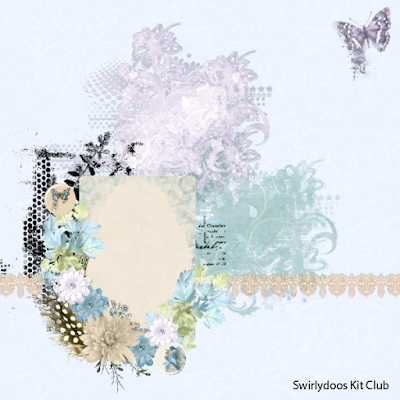 The All that Flutters challenge is now open using the January kit. You have until February 28th to get your entries posted to the All that Flutters thread. 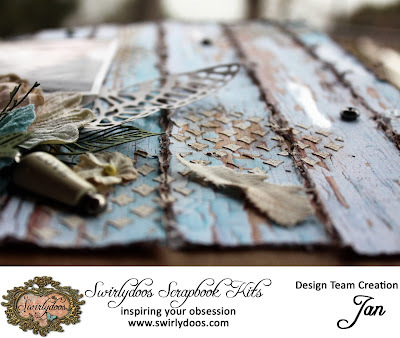 We would like to see you share your creations on the Swirlydoos Facebook, too. Peggy made this for the All that Flutters aka ATF challenge. The January sketch challenge is open until March 15th. You can enter here. Renee entered this one for the sketch challenge. 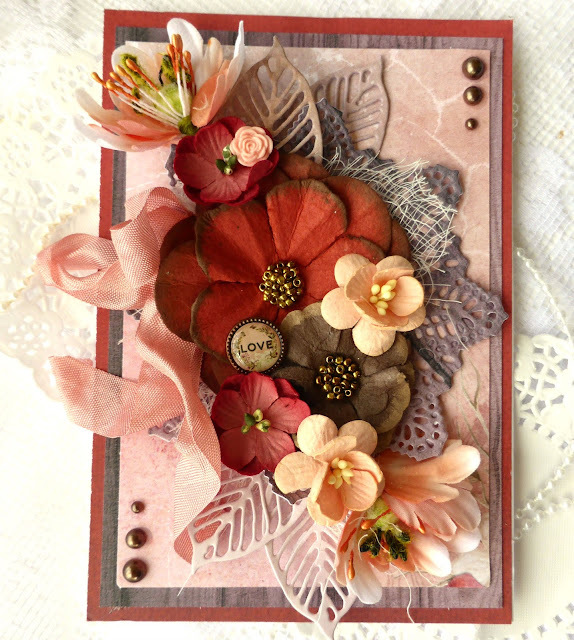 And, the February card challenge is still open. You can see what the prize is if you go here. 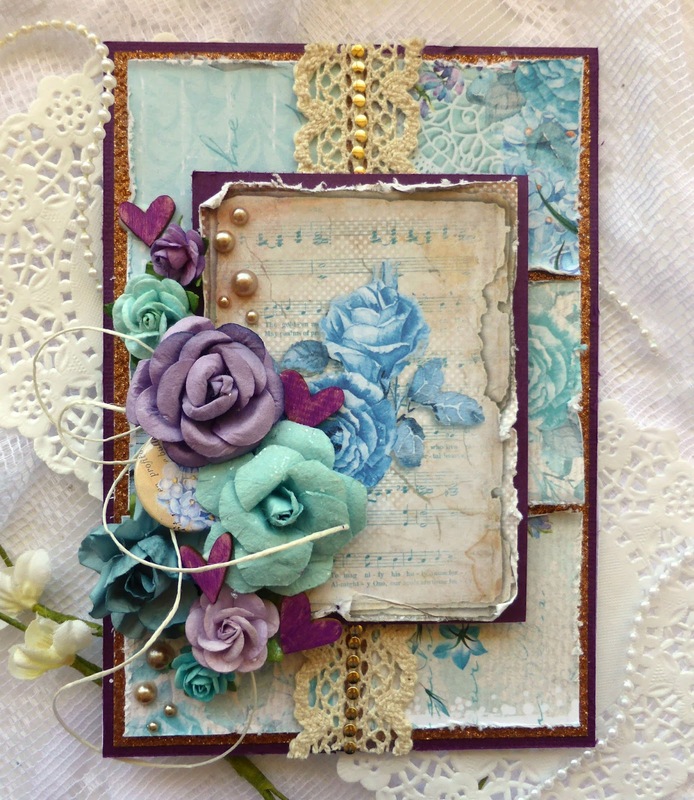 This is Kathi's entry in the card challenge. We have a new sketch designer, ME!! I have been having so much fun trying my hand at sketch designing. There is still a bit of a learning curve, but it is fun. Hope you like the new sketch designs, they are made to go more with the kit and it's contents. Here is my take on the sketch. This kit is full of beautiful fun floral papers. The colors are so different for me. The colors of the papers go so well with my photo.This is another selfie that I snuck in the ladies room of tan event I was at, it had great lighting. 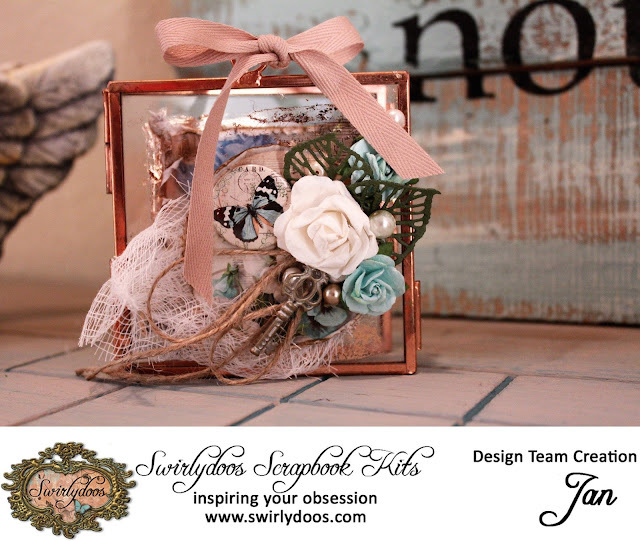 The kits and add-ons are jam-packed, so I used very few things from my stash. 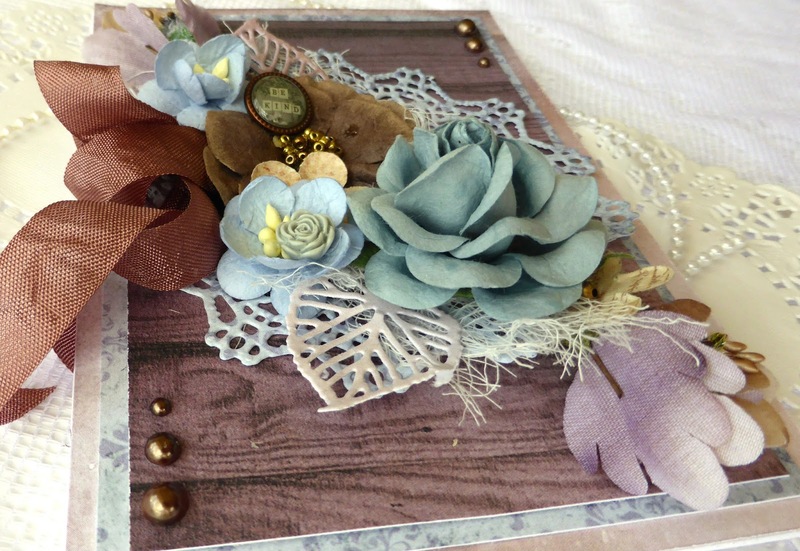 A few stamps, the masks and a doily. Lots of layering and some distressing to complete my page. Next up is another layout. 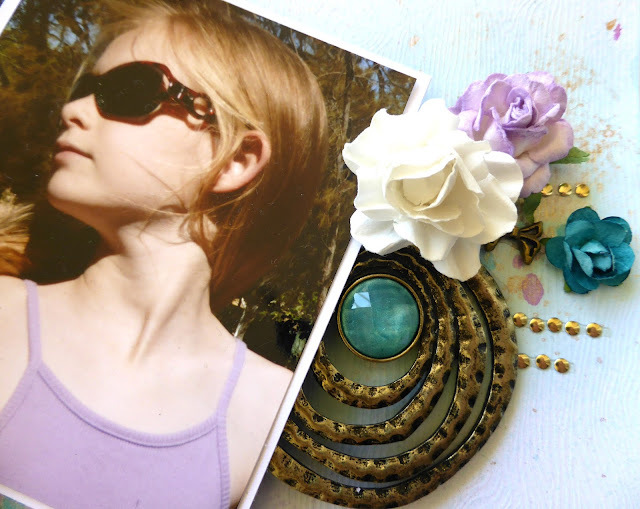 I used an older picture taken at Swirly Camp. I did some paper tearing here. 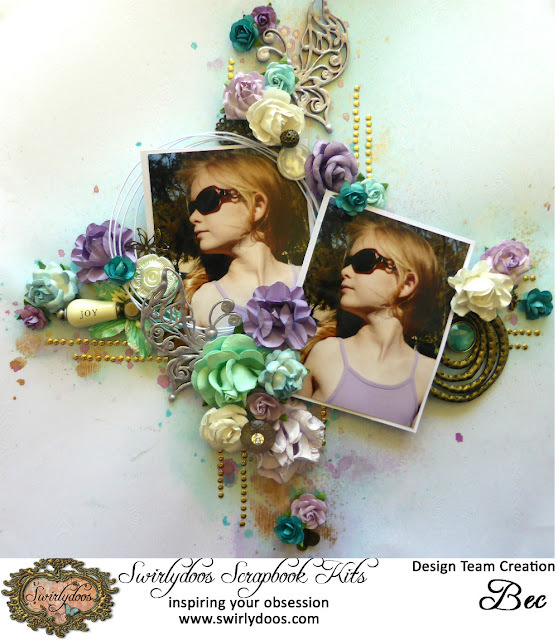 The die cut frame is from my stash. The chip board wheel the add-on and the main kit. There isn't much masking, misting or stamping in the background, this is more of a clean and simple layout for me. 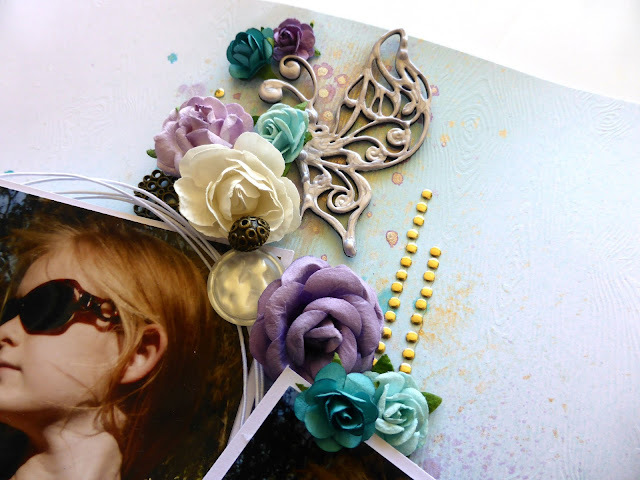 This layout is for the All That Flutters Challenge on the forums, hence the butterfly. Next up is another layout.. I created this using a photo I found on the internet (don't know who to credit the photo to). 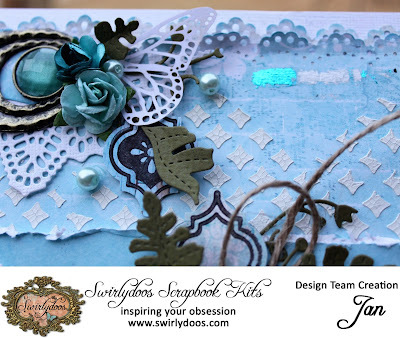 I had so much fun (and got really messy) creating this.I did a lot of masking, stamping and misting on the background. 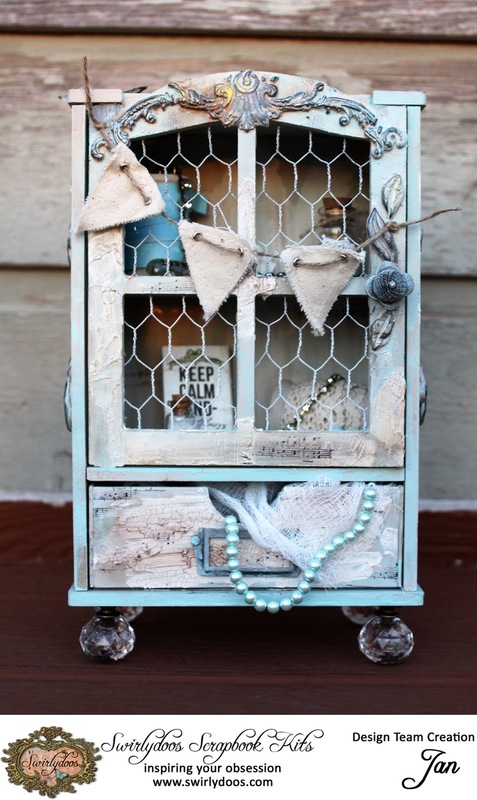 I add lots of glitter glass and glitter to this once I was done. the flowers for this came from my stash. How about another layout. I just couldn't stop with this kit. 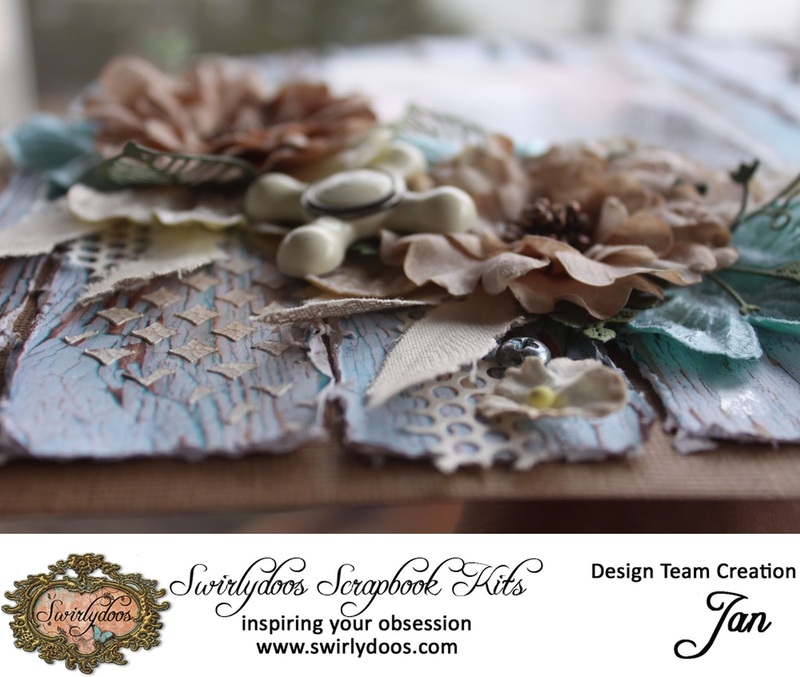 This is another mixed media madness layout. 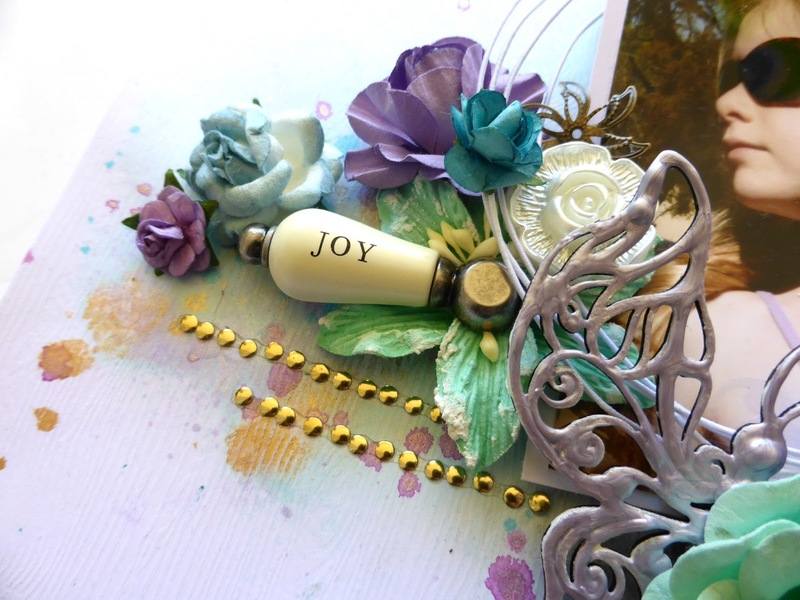 It is full of glass beads, glitter glass, art stones, misting, masking and lots of stamping and layers. 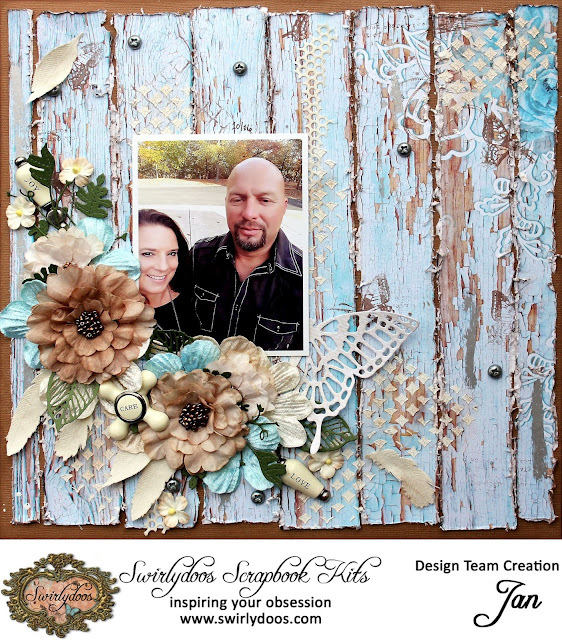 I used a few die cuts from my stash to add just a bit extra to this layout. 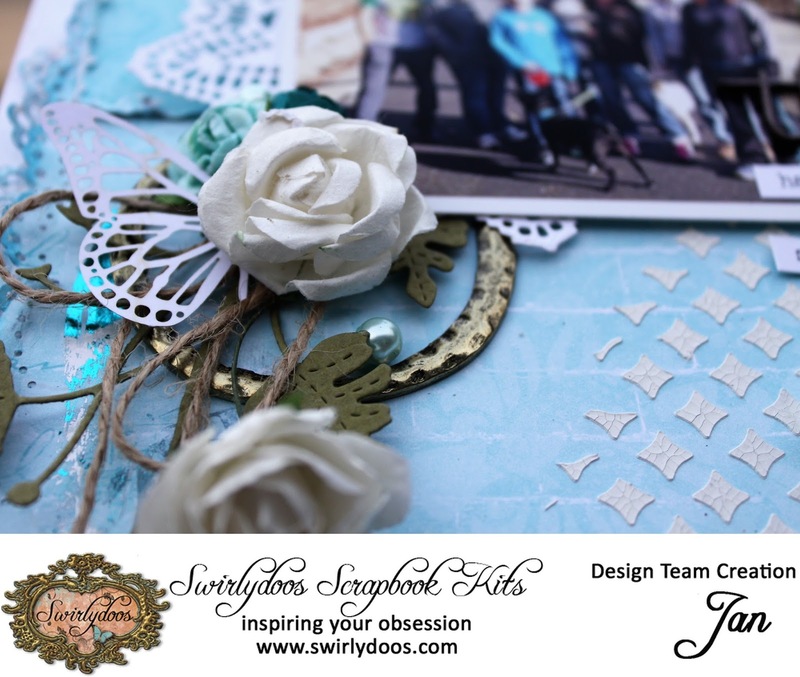 Today is my day to reveal all the goodies I made with the Swirlydoos January Kit. 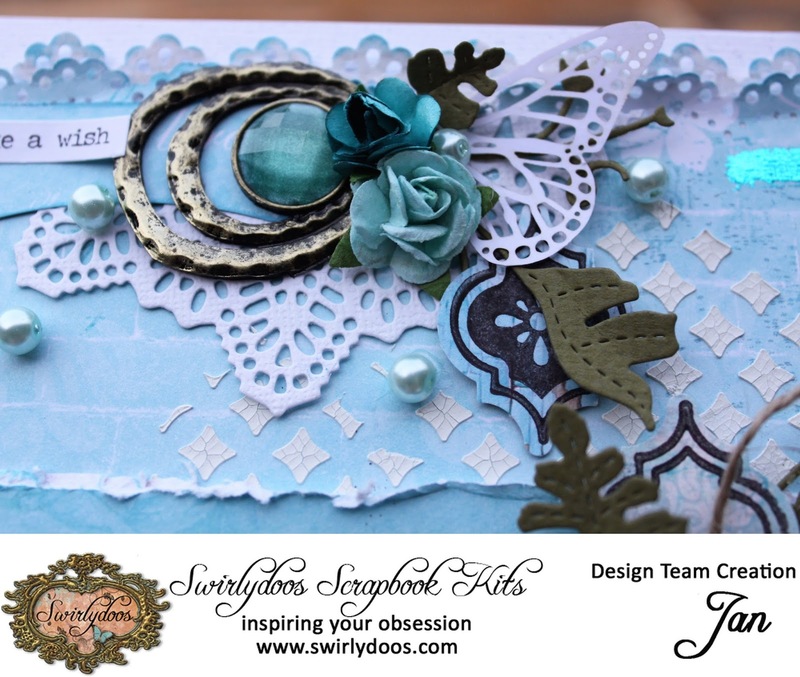 This kit is amazing, and filled with beautiful blue papers from Lemoncrafts Gossamer Blue Collection. 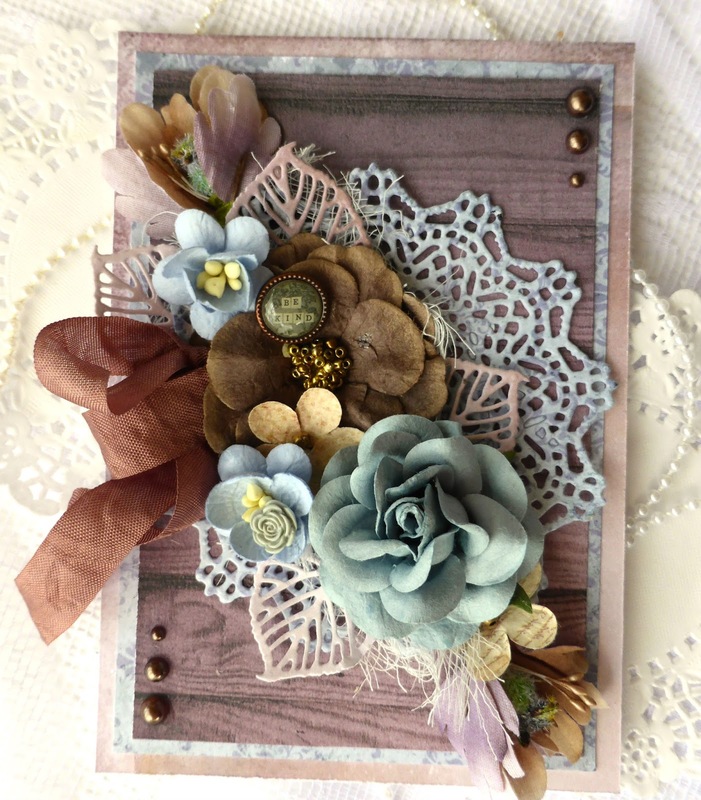 I received the Main kit along with the Flower add on and Embellishment add on kits this month. These projects were made using these kits. 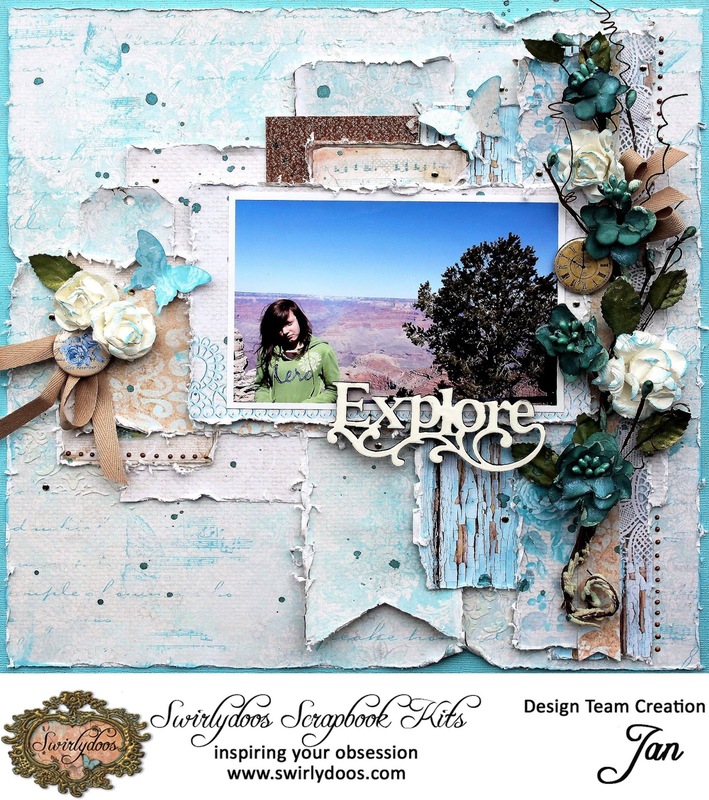 First up is the layout I made using the January sketch as inspiration. 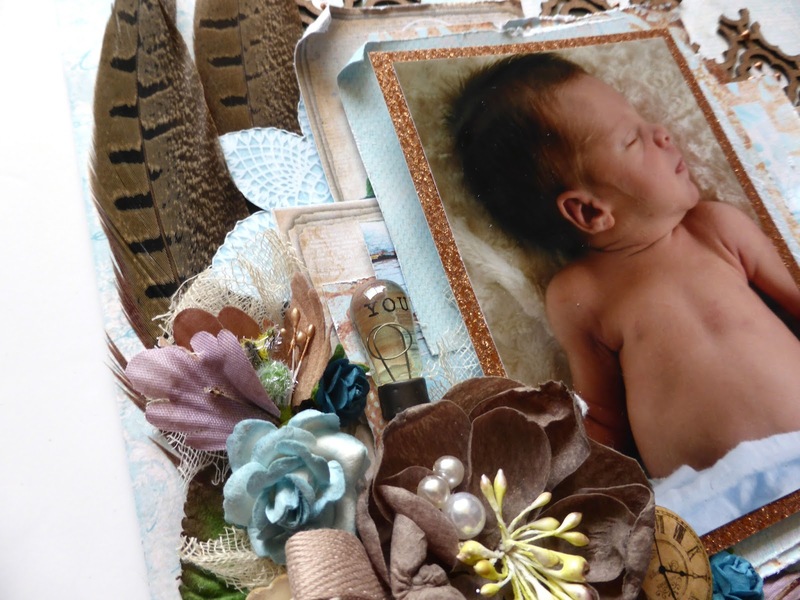 Please join us on the Facebook Gallery to submit your entry. 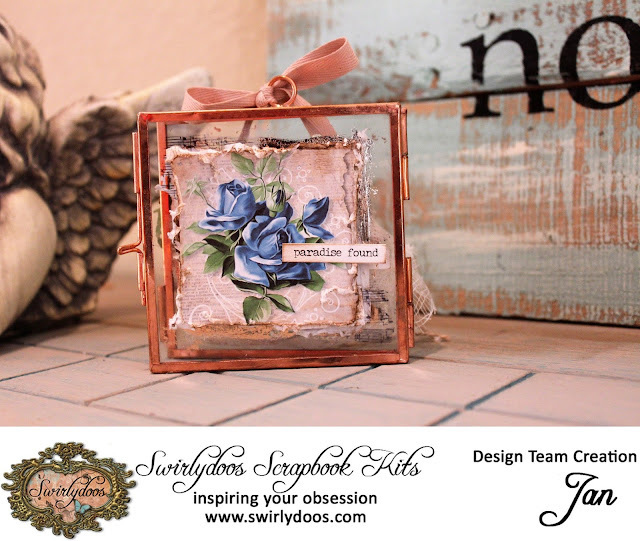 I used papers from the Lemoncraft Gossamer Blue collection along with the copper shimmer paper. I coloured the paper with teal and purple mists in order to bring out the beautiful invisible pattern underneath. 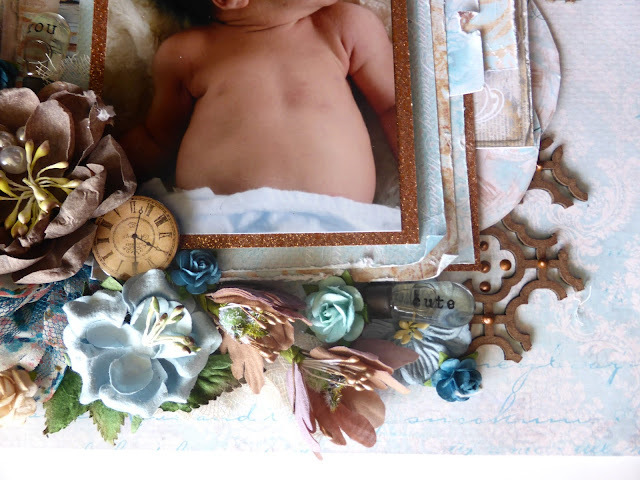 I used the 49th & Market flower vine from the main kit to form a semi circle and placed this onto my photo then filled in the gaps with extra flowers. 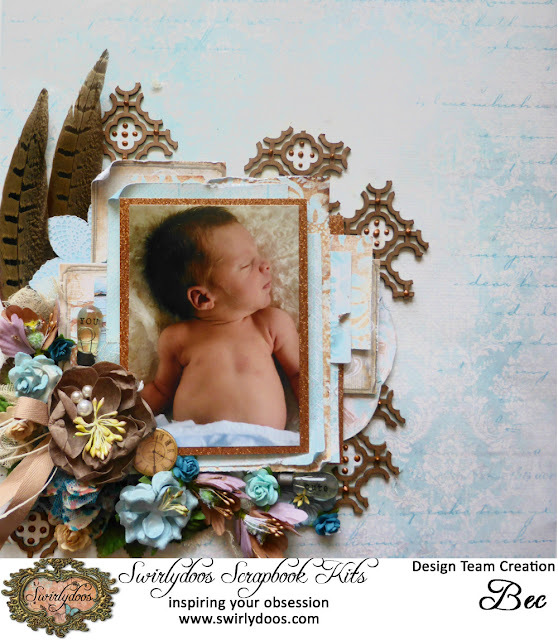 This layout was mage with the American Crafts woodgrain textured cardstock as the background. I coloured the paper with some mist splatters. I used pale purple liquid pearls to colour the Creative Embellishments chipboard butterflies. 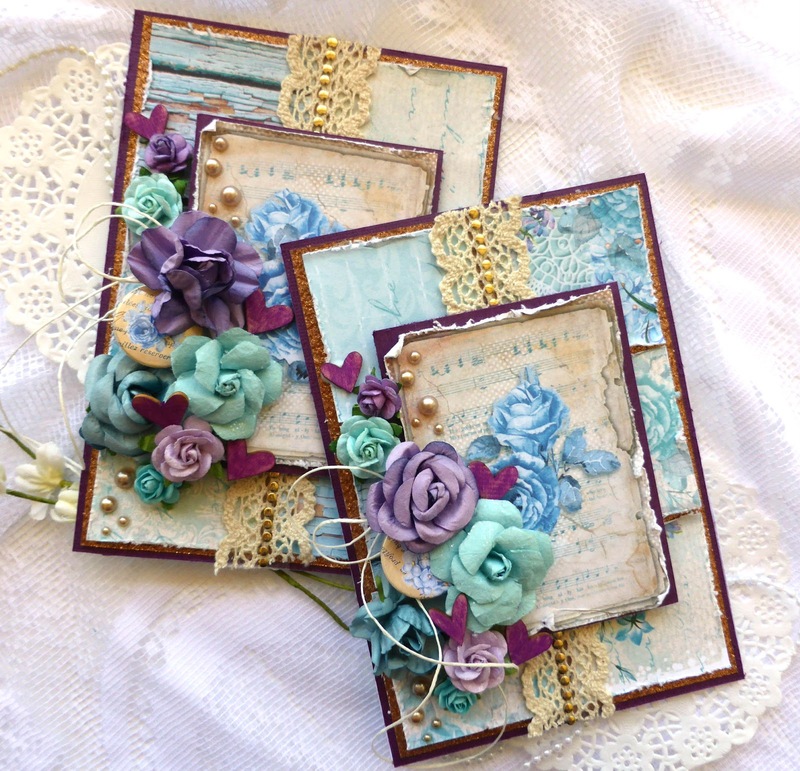 I used the scraps from the kit to make these cards. 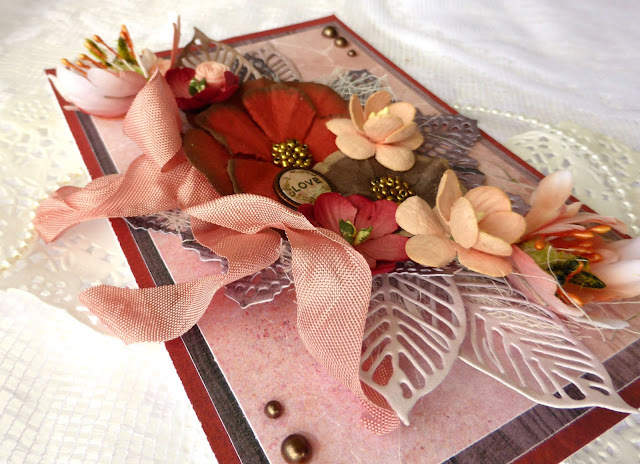 I am currently running a card making challenge on the forum. Head HERE for the details. 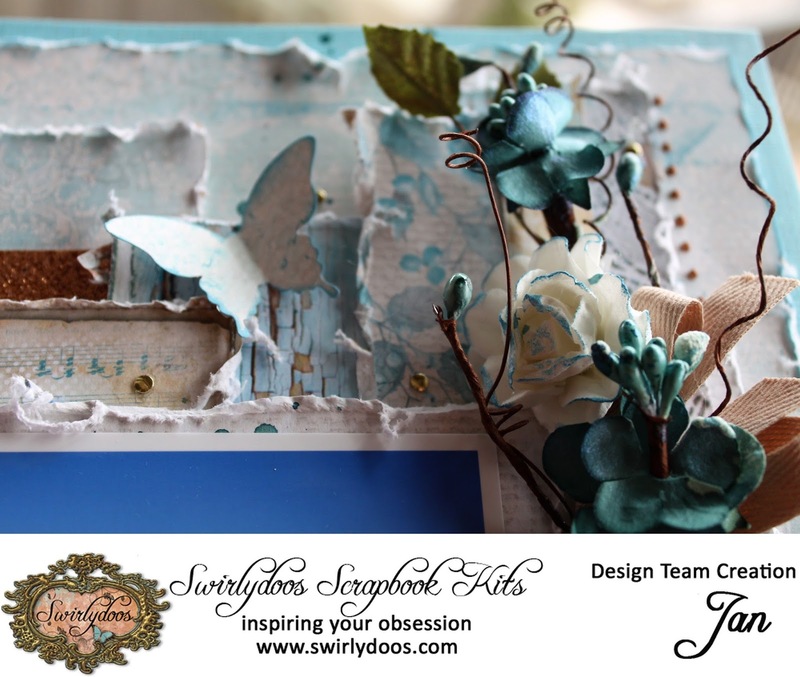 I was pretty excited to get all that gorgeous LemonCraft paper in the January kit of the month, Delicate. Were you? And, Kim is doing an amazing job with the monthly sketches. 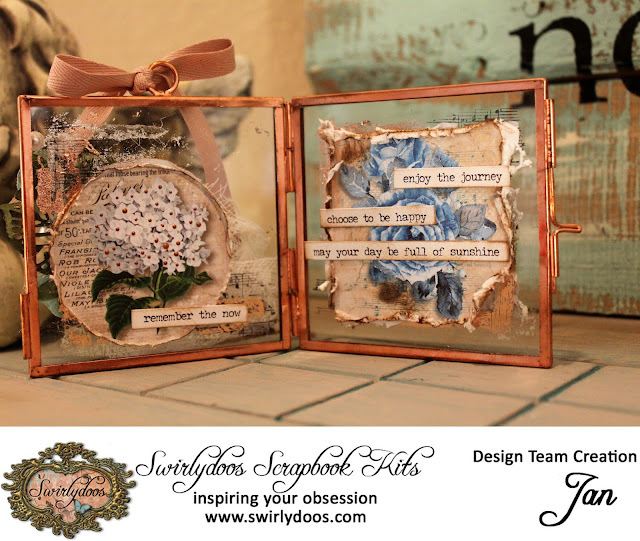 Here's what she created for the January kit. This is my take of the beautiful sketch. Just an FYI: you can pop the white part of the faucet handle off and turn it around if the word is not going in the direction you would prefer. I popped off the "love" and turned it around the other way on the faucet handle so it would work with my layout. 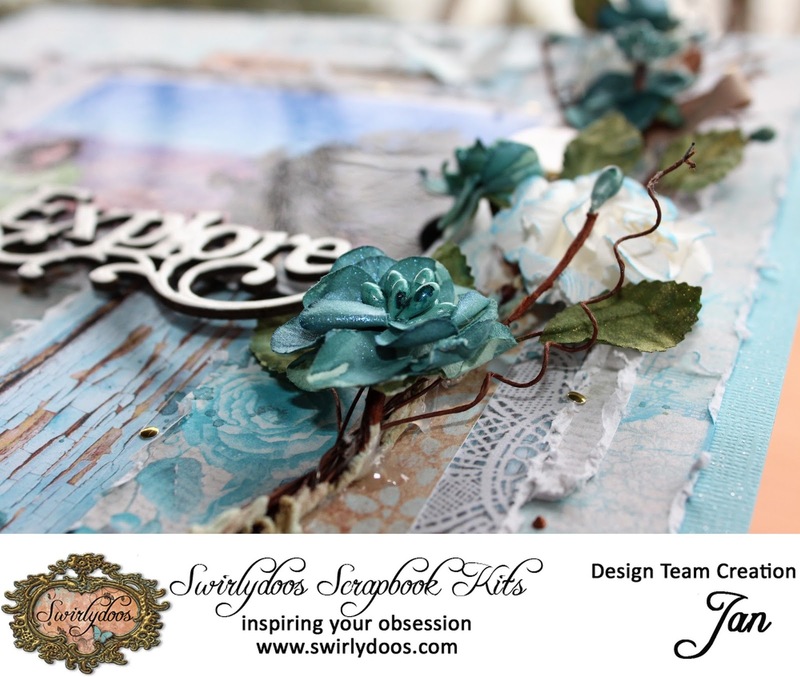 Here's a close up of the white crackle texture paste by Finnabair using a Prima stencil. Look at those gorgeous flowers! 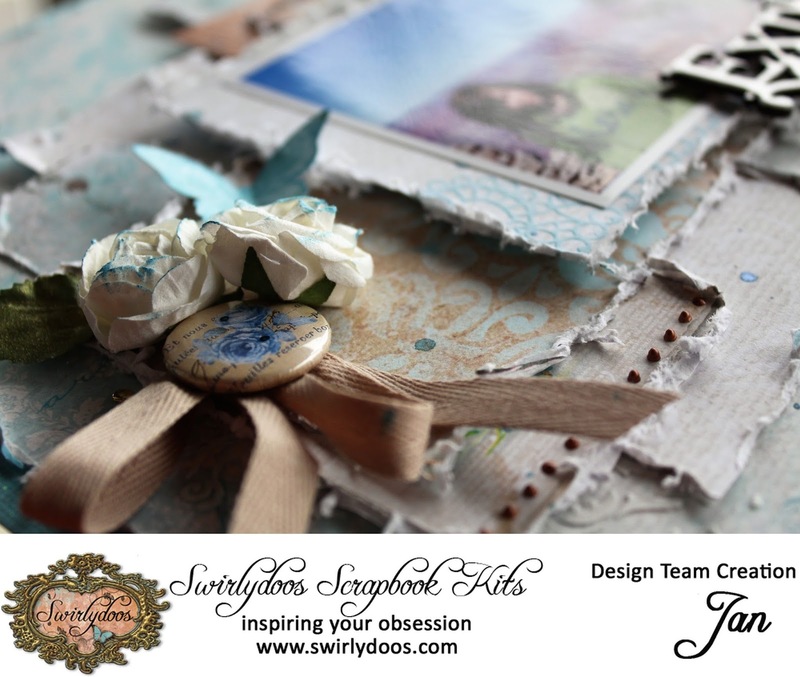 I used the feather dies that were in the die add on this month to cut some feathers from the LemonCraft ribbon. I used the back side of the ribbon. Here's my All that Flutters layout aka ATF. I used the Tim Holtz enamel accents in white from the project add on to alter the chippy. 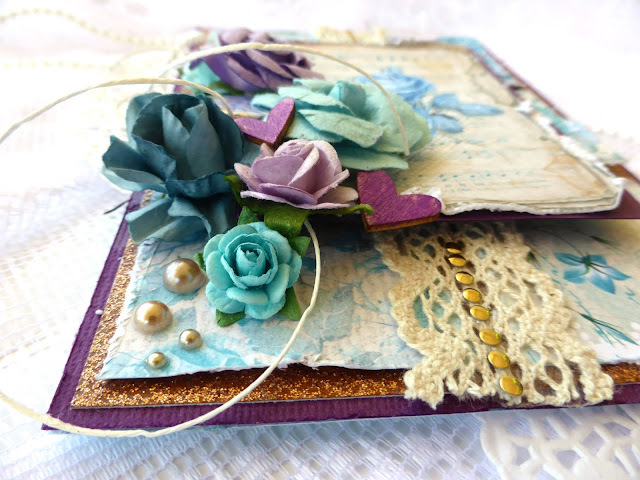 I used a glue pen and two different colors of foil to add some accents to the background paper. 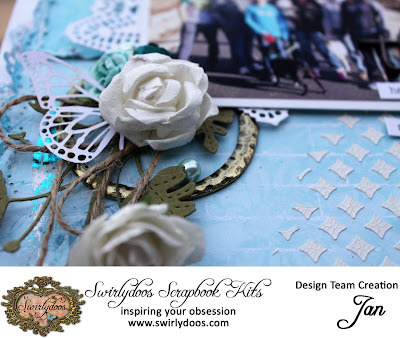 The blue beads were included in a past Swirlydoos kit. 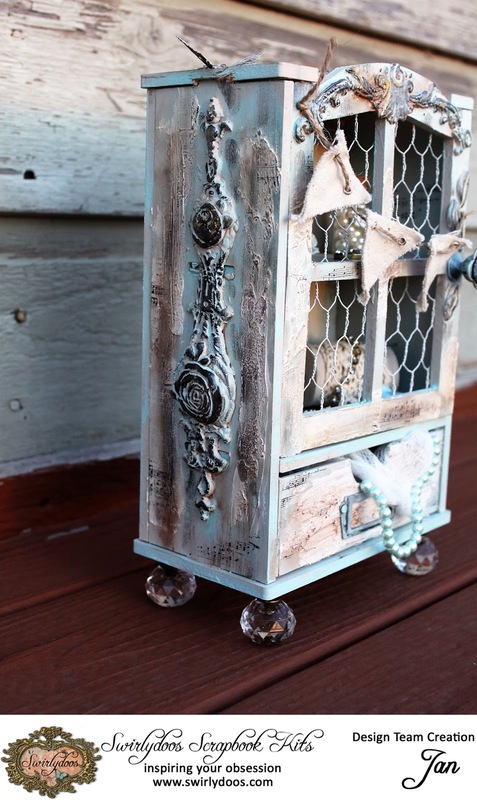 Oh, do you see the metal round accent pieces? That was one piece that I broke into 3 different pieces to scatter around the page. The metal trinket with the blue center was part of the Swirlydoos January embellishment add on. This cute little frame was included in the embellishments add on. I had fun with it. Let me share the Anatomy of a Layout with you. 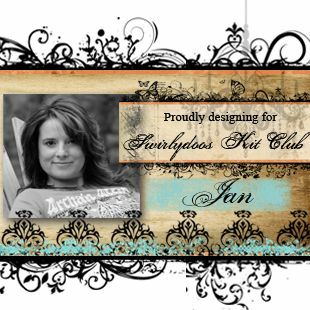 You can create this layout using only the main kit for January. The flowers and leaves on the 49 and Market vine were altered with Prima Color Blooms in Dragonfly Blue and Lime Wedge. The Kaiser blooms in Cotton with brushed with Ingvild Bolme ink in Cold Ice. Here's the video for Anatomy of a Layout. 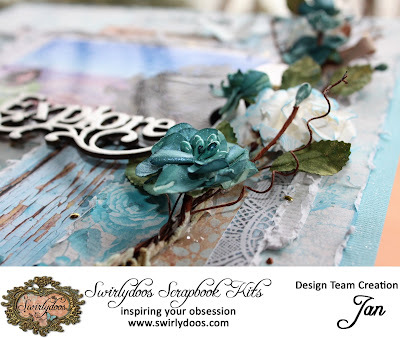 Now, here's a few pictures of the technique kit for January. I will share the video tutorial with you later. A sneak peek on the inside.